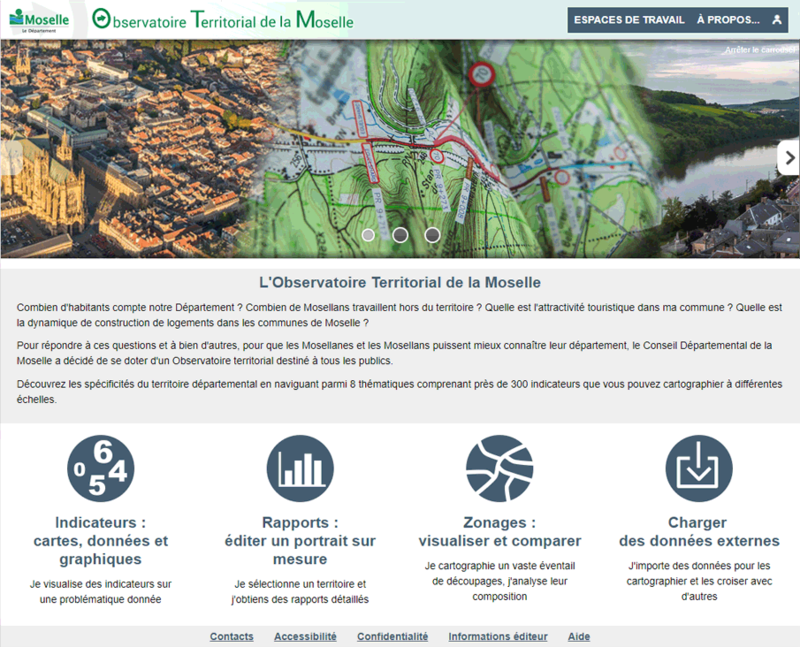 The Moselle County Council provides the population and professionals with more than 300 key indicators to better know and understand the territory. 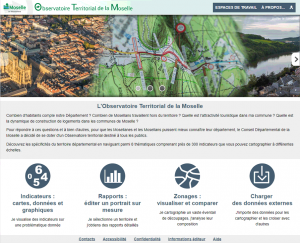 To easily learn the functionalities offered by the territorial observatory on how to map an indicator, how to select a geographical area, how to edit a summary sheet or a thematic report, four tutorials are available. These are four videos of a few minutes duration each, which present in turn the four workspaces: Indicators, Zoning, Reports and External Data. They can be accessed from the Help page, in the About menu, at the top right of the screen.